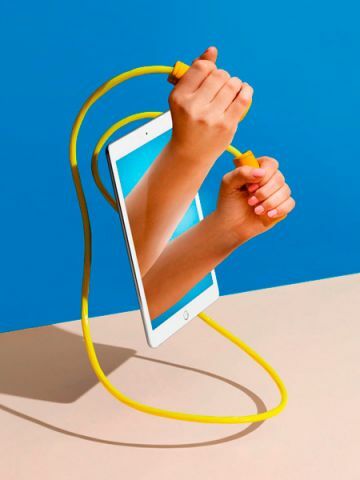 From yoga to Spinning, there’s a streaming fitness subscription aimed straight at you. Our staffers put a slew of them to the test to give you our top picks in every category. Former professional dancer and choreographer Lauren Kleban’s dance-inspired workouts use low-impact, high-intensity intervals to tone muscles. “I enjoyed the videos so much that I got up one morning and did a core class before work,” says our assistant photo editor, Gabrielle. Mix and match 22 staple videos to create your own personal workout, or follow one of seven filmed classes. No matter what you choose, you’ll get spot-on coaching. “I felt confident doing these exercises because of the detailed instructions,” says Gabrielle. Tip Kleban is the sole trainer, so you’ll want to do a trial to make sure her straightforward teaching style suits you. Tip Some of the foam roller videos target only one side of your body, so you’ll have to hit replay for the opposite side. Tip Beachbody has so many great programs to choose from that it’s best to sample a few before committing to one. The 4,000+ rides on demand and up to 14 live rides streamed daily mean you’ll never get bored with cycling. “Despite the wide selection, workouts are arranged so that it’s super easy to find what you’re looking for,” says Lauren, our editorial assistant. “There are even stretching and foam rolling videos to aid recovery.” Bonus: You can create a custom schedule of live rides and request reminders. 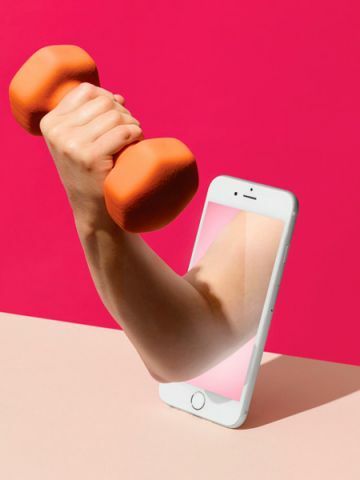 Tip Since it’s only available as an app, you may be more inclined to use Peloton on the go (say, in a hotel gym), but remember that you’ll need a strong connection to avoid slow loading times. Satisfy your need to switch things up with hundreds of high-quality videos—and without the hassle of self-sorting. “Just click the next video in your program. I didn’t have to think about which workout to try,” says our research chief, Lixandra. She also found the trainer in the “Move!” series encouraging. “I’m not a gym person, so the dance workouts got me to exercise,” says Lixandra. “I felt lighter, more flexible and energetic after doing them in the morning.” And the timer keeps you posted on how much longer you need to endure a tough move. Tip A basic plan offers 250+ workouts within 20 fitness programs and a new daily video that’s available for 24 hours. Daily videos won’t disappear if you pump up to a premium subscription (for a total of 800+ workouts). Fitness at your fingertips: More than 58% of smartphone owners have downloaded a health app. Those focused on fitness and nutrition get the most use. “I would describe it as love at first workout,” says Lisa, our design director. It’s straightforward, simple and unbuttoned to get you practicing when you can, where you can, without feeling like you have to be a yogi. “The instructor was very thorough, so I could tell if I was doing the moves properly,” says Lisa. “But what surprised me the most is how much it felt like being in a class.” Making time for the videos was effortless since she enjoyed them so much. Tip Unlike many services, Dirty Yoga offers almost all new workouts every week, which incentivizes you to do them before they’re gone. With a library of 1,000+ professional videos at your fingertips, you can surely kick your Pilates skills up a notch—even if they’re nonexistent right now. “They had lots of basic classes that truly taught me the technique,” says Regina, our food director. “I don’t often find such detail in mat classes, so it was really helpful.” However, if you have any lingering questions after a workout, post them under the video and you’ll likely receive a personal response from the instructor. Or use the site’s forums to connect with other members and teachers. tip While many videos don’t require extra gear, some teach proper form with traditional equipment—like the Reformer or Toe Corrector. Raising a kid is hard enough, but going to the gym and eating well too? Forget about it! Moms Into Fitness makes it just a little easier with 90+ videos in four categories (prenatal, postnatal, weight loss and core) designed for women trying to reclaim their bodies by working toward specific goals in the comfort of their home. “With so many fitness options out there, I didn’t know where to start after having a child, but the site’s streamlined options made an exercise routine easier to manage,” says Julie, our executive food editor. The service also provides healthy kitchen hacks and meal plans. Tip Although the workouts target “mom bods” and post-pregnancy trouble spots, the instructor’s fitness level may be intimidating. Tip If you can’t find exactly what you’re looking for, the Grokker team welcomes suggestions for new content. Exercise economics: On-demand services make up 7.7% of the workout industry, compared to just 4.8% in 2014. Nearly all of us thought a home workout would be easy to stick to—but struggled to put our muscle where our mouth is. Here’s how to make the most of your membership. Set aside at least 30 minutes to explore your subscription service. Many have multiple programs or hundreds of videos to choose from, so you’ll want to investigate the offerings and familiarize yourself with all the features. → Create a fit squad. Find a friend who uses the same service and do videos together via Skype or Facetime. “Give encouragement and hold each other accountable,” says Julie Erickson, owner and founder of Endurance Pilates and Yoga. Another option: Invite friends over for a class. “Make it a weekly non-negotiable get-together,” says Erickson. “Choose a cute pair of leggings or a top that highlights an area you already love to motivate you,” says Ngo Okafor, a celebrity trainer and creator of the FitMatch app. For a morning workout, lay out your exercise gear the night before. Similarly, trade your work outfit for exercise clothes as soon as you get home at night—even if you aren’t working out until later. → Stick to a schedule.